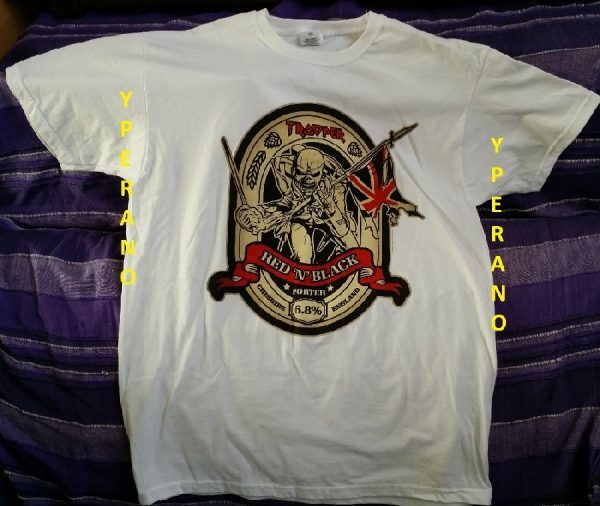 Home / Other Items / T-Shirts / Iron Maiden Eddie Mega Ultra Rare ltd. PROMO T-shirt: Trooper Beer Red ‘N’ Black 2016 size L. New, mint! 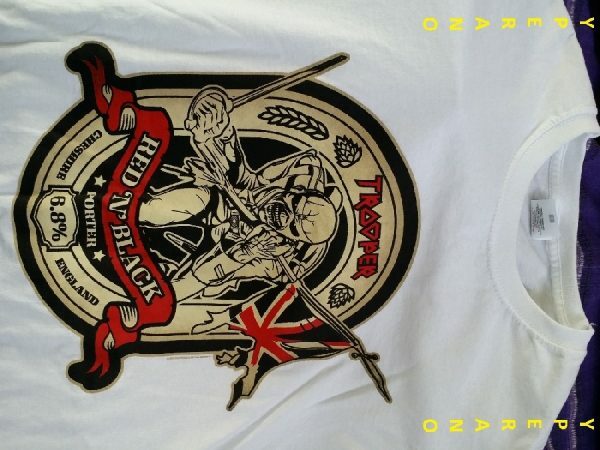 Iron Maiden Eddie Mega Ultra Rare ltd. PROMO T-shirt: Trooper Beer Red ‘N’ Black 2016 size L. New, mint! 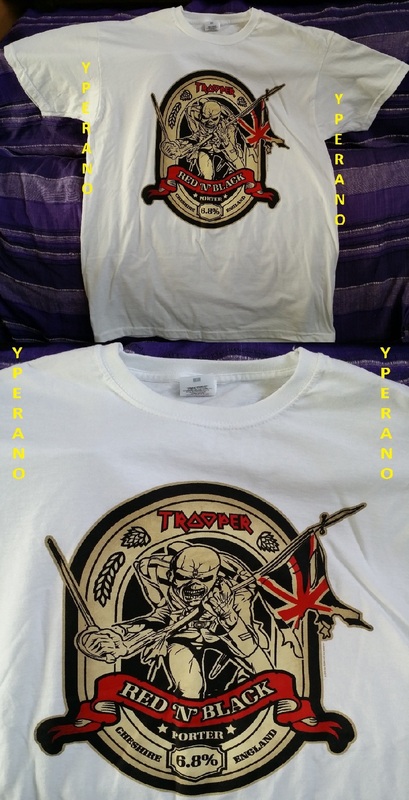 Iron Maiden Eddie Rare ltd. PROMO T-shirt Trooper Beer Red And The Black 2016 Porter Alc. 6.8 alcohol. Near mint condition. 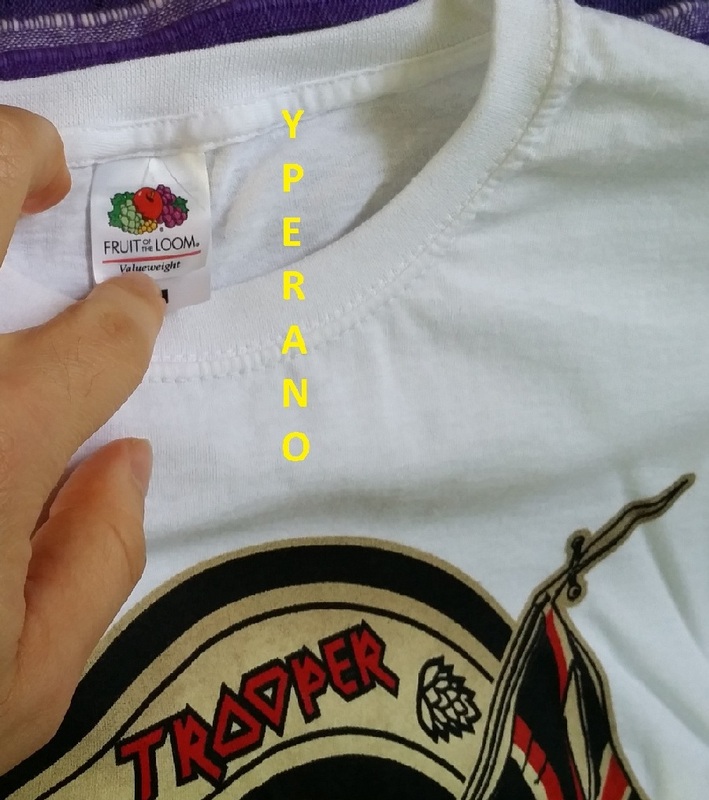 Size L, Fruit of the Loom, OFFICIAL. 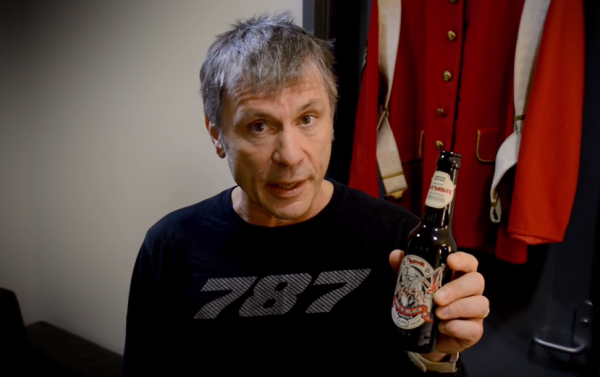 British heavy metal legends IRON MAIDEN recently announced Trooper Red ‘N’ Black, a new limited-edition beer from their award-winning Trooper range. This beer, designed once again by Dickinson along with head brewer Martyn Weeks, takes its inspiration from a very early recipe, first brewed in the 1850’s. Dickinson, a fan of traditional English cask beer, devised the recipe for the Trooper in collaboration with Robinsons, a family-run brewery in the Greater Manchester town of Stockport which is part of Cheshire (a county in North West England). 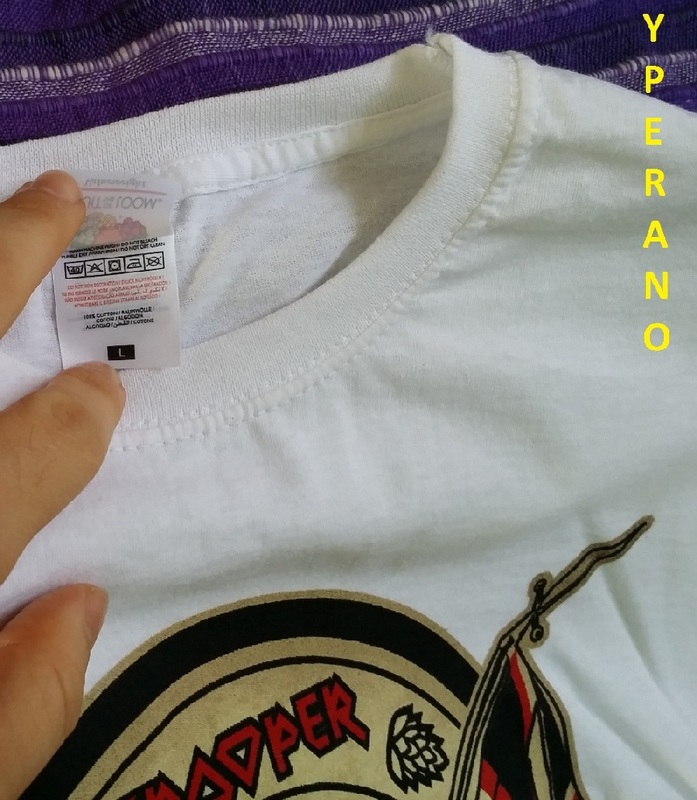 Just a couple of PROMO T-shirts were made to promote the release on this limited-edition beer, so this is an extremely rare item, that will SURELY gain in value in years to come.Don’t miss the opportunity to own one if you are a real fan. At 6.8% in bottle, this Trooper Red ‘N’ Black is the strongest Maiden beer in the range to date. Taking its name from both the color of the beer, which glows red when held up to light, and the song “The Red And The Black” from IRON MAIDEN’s critically acclaimed 2015 album “The Book Of Souls”, Trooper Red ‘N’ Black uses a blend of chocolate and crystal malts which help give the beer a roasted malt and caramel backbone. The Trooper beer was launched in May 2013 and has won the British Bottlers’ Institute Gold Medal 2014, 2015, 2016 in their annual blind tasting sessions. The beer is now being exported to more than 50 countries and has proved unusually resilient overseas for a new beer, maintaining its stunning initial export success with repeated high volume orders across some of the world’s leading importers. 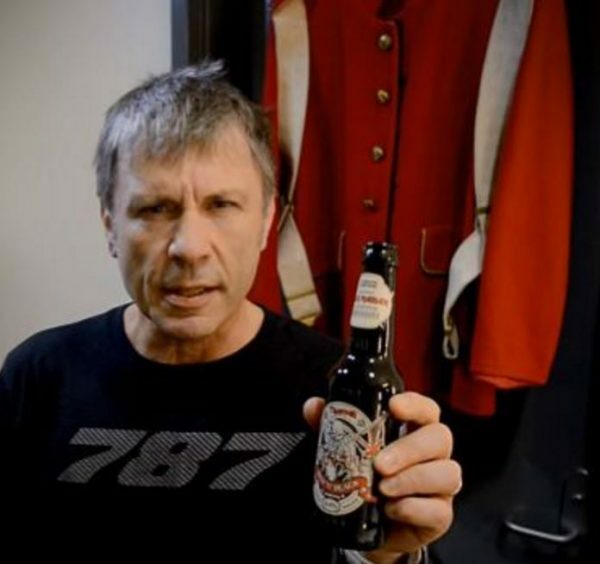 Obviously the beer’s label borrows it’s image from the sleeve of IRON MAIDEN’s “The Trooper”, which came out in June 1983 as the 2nd single from the LP “Piece Of Mind”. It features band mascot Eddie as an English soldier, charging grimly with a tattered Union flag in one hand and a bloodied saber in the other.